While removing and working in the engine bay I twisted and cracked some of the A/C hoses. Some of them probably needed replacement. I would like to replace them before I am done with the engine. The Mustang houses sell the hoses for about $250-$300. I don't really care for them being correct/authentic/rotisserie, but rather that they function properly. The ones currently installed are not original, plus the high pressure one has a different fitting than stock where it connects to the compressor. I think a large part of the price tag is the fact that they are correct, which I don't need. I have to think that it will be a lot cheaper to have them done somewhere. What are your experiences? 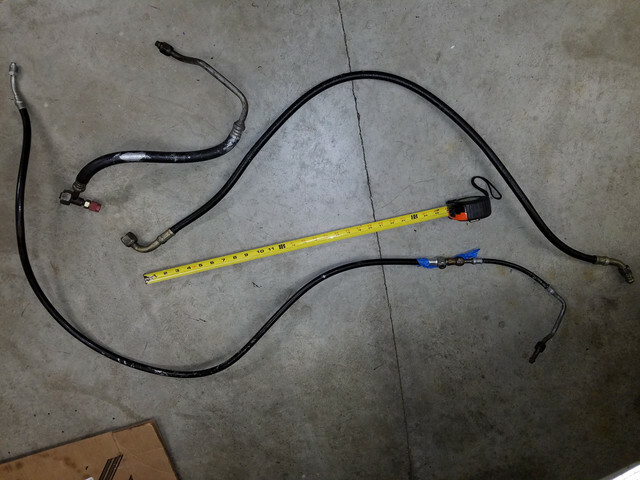 Should I go to a local A/C shop with the hoses? I don't know of any around my area that I can trust. 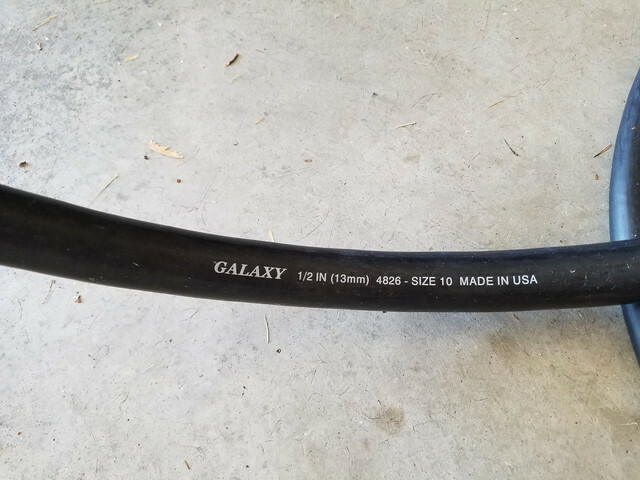 Will a hydraulic hose shop be able to replicate a A/C hose? I believe you can buy universal cut to fit hoses but the ends require a special crimping tool. Awesome!!! That's what I was looking for. This morning I thought that there should be a place in the internet where you build your hose in this manner. I just hope the quality is good. 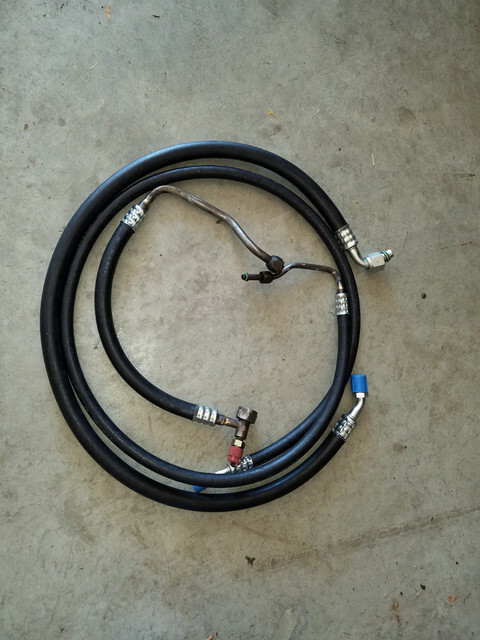 One concern is that our hoses have custom bend steel tubing at the ends that connect to the drier and condenser. However, I see that their website has an option to send your hoses so they can reused the end fittings/tubes/connectors. I may go this route. I ended up sending my A/C hoses to Coldhose.com for them to restore. They replaced the hoses and fittings that are bad, reusing the special fittings at the ends. It was a bit more expensive than what I was expecting. The total was $195 with shipping. The turnaround was very quick and the quality is very good. One of the lines was made of two hoses together with the glass in the middle. They suggested to eliminate the glass since it is not used for R134 and make it one line.